CentrikBlogsLegal AdvisoryAuthentic Legal AdviceHow to file suit for recovery in India? What is recovery or summary suit? Summary suit or summary procedure is given in Order 37 of Code of Civil Procedure, 1908 (hereinafter referred as CPC, 1908) whose object is to summarize the procedure of suit in case the defendant is not having any defence. All the suits upon bills of exchange, hundies, and promissory notes. The suits wherein the plaintiff seeks to recover a debt payable by the defendant, arising either on a written contract or on an enactment where the sum sought to be recovered is fixed or on a guarantee where the claim against the principal is in respect of a debt. A suit can be instituted under this order in High Court, City Civil Court, Court of Small Causes or any other Court notified by the High Court. Who is competent to invoke this Order? For companies, partnership firm, proprietorship firm and traders etc., can file a suit for recovery of their unpaid bills/ Business due amount or payment where there are any written contract/agreement between the parties. Is there any limitation period to file a recovery suit? The limitation period for filing a civil recovery suit in India is 3 years. After that the claim is barred by time. It is imperative to decide which Court of law one should file their suit for recovery. Suits amounting to 2,0,000,000- lie before District Courts. Suits over and above 2,0,000,000 lie before the High Court. It is essential to remember that the amount of pecuniary jurisdiction is different for all High Courts in India. This limit is decided by respective High Court Rules and in many states the High Court has no pecuniary jurisdiction. 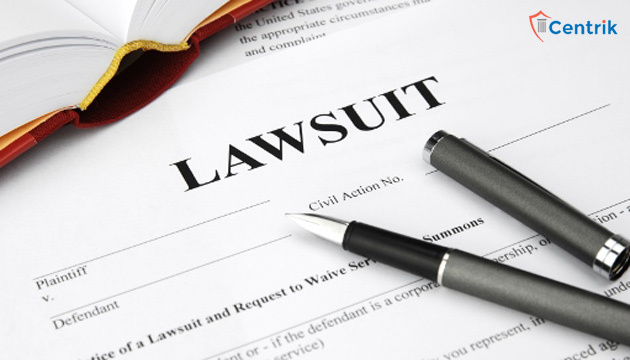 All civil suits go before the District Courts, and only appeals lie before the High Court. Presenting a plaint which shall contain a specific averment to the effect that the suit is filed under this Order, that no relief which does not fall within the ambit of this rule has been claimed in the plaint. The summons of the suit shall be in Form No. 4 in Appendix B or in such other Form as may, from time to time, be prescribed. The defendant shall not defend the suit referred to in sub rule (1) unless he enters an appearance and in default of his appearance the allegations in the plaint shall be deemed to be admitted and the plaintiff shall be entitled to a decree for any sum, not exceeding the sum mentioned in the summons, together with interest at the rate specified, if any, up to the date of the decree and such sum for costs as may be determined by the High Court from time to time by rules made in that behalf and such decree may be executed forthwith. High Courts, city civil Courts and courts of small cause. Other Courts: provided that in respect of the courts referred to in clause (b), the high Court may, by notification in the official gazette, restrict the operation of this order only to such categories suits as it deems proper, and may also, from time to time, as the circumstances, of the case may require, by subsequent notification on the official gazette, further restrict, enlarge or vary, the categories of suits to be brought under the operation of this order as it deems proper. If written Contract or Agreement is not there then a simple civil recovery suit will be filed on the basis of facts and circumstances of the case. The pecuniary limit of the District Court is decided by the High Court. In case of Delhi, the pecuniary limit of District Court was Rs.20 Lakh which after the amendment is increased to Rs.2 crore. The original pecuniary jurisdiction of a High Court is for the suits wherein the value of the matter involved is more than 2 crore. The pecuniary jurisdiction is determined by the value of the suit which the plaintiff determines and mentions in his plaint. In case of an objection regarding pecuniary jurisdiction of Court, the trial court will inquire into that and will pass an appropriate order. Again you portray yourself as an expert but this article was written by a person who don’t know a bit about the procedures which clearly shows lack of knowledge on the subject. I thank you for your feedback. I have tried to elaborate related regulation by mixing with the practices issues being faced in the related matter. I think this co-relation may change person to person. Nevertheless, I would happy to change if your goodself share your view on merit instead of just criticism. Thank you and would like to hear more from you. I am an professional astrologer and working as a freelancer for several reputed companies, i was working with a company in Delhi until March 2018 and they have not paid me the last bill of around 50,000 and now avoiding all the mode of communication as well. I am fed up from last several months, what to do, please guide me. since the amount of default is less than Rs. 1 lac, you can’t approach to NCLT. You can file case before civil court. we have filed a case againt one of our debtors in district court, the transaction is now more then 3 years old. But due to the slow proceeding of the district court, we are fed up and have lost hopes. Please suggest if we can still file a case against the debtor who is a private limited company in NCLT? I have made sales to a pvt ltd company in pune worth Rs 10 lacs, and it has been more than 6 months and almost 7 lacs are still due. They have started Avoiding my calls. My invoices clearly stated a payment period of 45 to 60 days and interest penalties after its expiration. What should be my next step as to initiate with the legal proceedings and will I be in a position to demand principal amount along with the compensation for the greivances caused. Thanks. Dear Sir, I run a real estate consulting proprietorship firm, whereas my client has refused to pay me my fees for seeking him a house and taking my services. We have already serverd him legal notices for our outstanding of Rs. 1.40 lacs. Need to know under which section and jurisdiction we can file a suit and what remedy we have to recover our payment. If i file recovery suit which is about to 1crore how much I have to pay as a court fee at the time of instituting the suit.